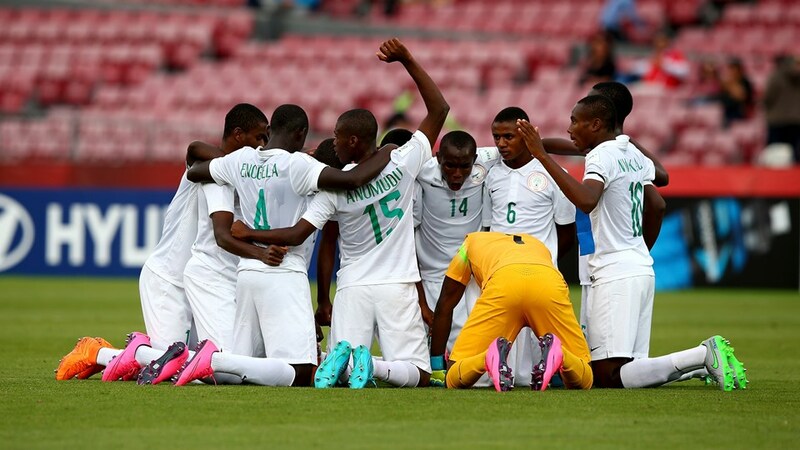 Nigeria, the reigning U-17 World Champions, have begun their title defence on the right foot after taking down USA 2-0 in the Super Eaglets’ opening match of the FIFA U-17 World Cup Chile 2015. A scoreless opening 45 minutes saw plenty of chances go begging for both sides. USA’s Haji Wright came the closest to opening the scoring 13 minutes in after getting on the end of Christian Pulisic’s cross but the No7 could not keep his effort from going over the crossbar. Pulisic in particular tormented the Nigerian backline with his pace and skill attacking down the left, but the Super Eaglets held on and five minutes after the break took the lead. The Americans were unable to clear during a scramble in their area and Chukwudi Agor capitalised on the Stars and Stripes’ mistake and smashed the ball into the net, leaving William Pulisic no chance. The opening goal did not diminish the Americans’ attacking spirit, but Richie Williams’ side could not create any clear-cut chances to find an equaliser. And with half an hour remaining, Victor Osimhen doubled Nigeria’s lead after cleverly beating two defenders and calmly finishing past Pulisic. To make matters worse for USA, Auston Trusty was shown a straight red card three minutes from time, which will require coach Williams to make some changes in his backline ahead of the Americans’ next match against Croatia on Tuesday. With the man advantage, the Super Eaglets confidently controlled the tempo of the game until the final whistle to put them on top of Group A, at least temporarily as Croatia take on tournament hosts Chile, also in Santiago, later on Saturday evening in the group’s other match-up.